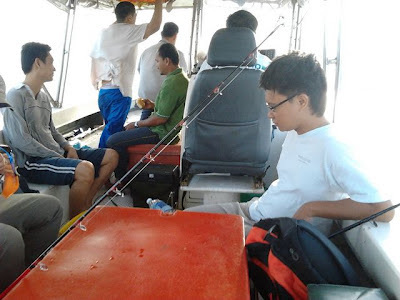 Planning had been made for this overnight trip to the southern Philippine a month earlier. 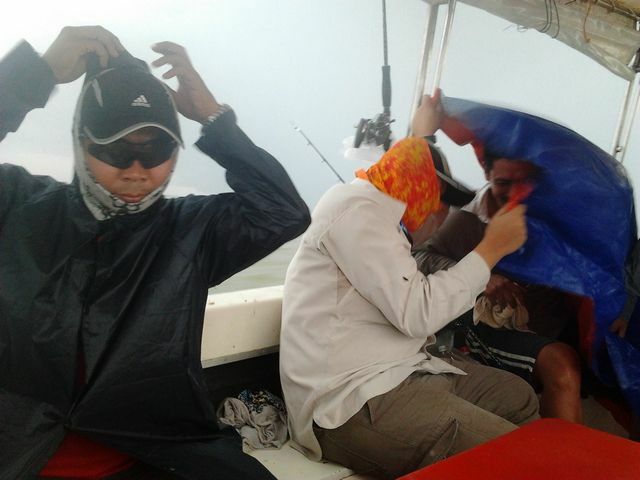 As the date drew nearer, the weather was not good. 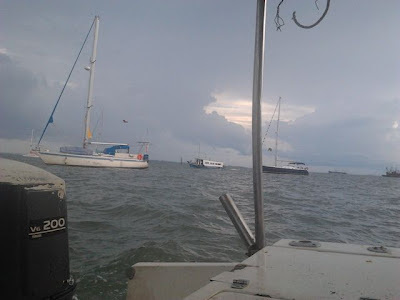 We almost cancelled our trip. 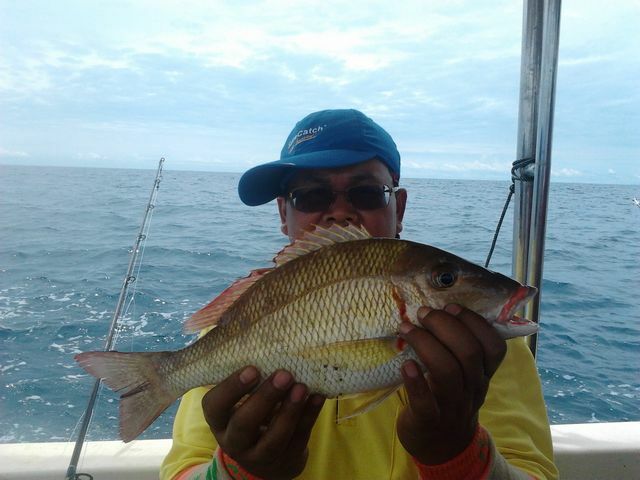 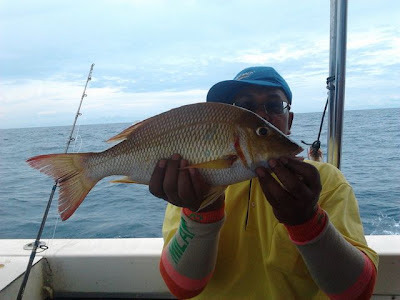 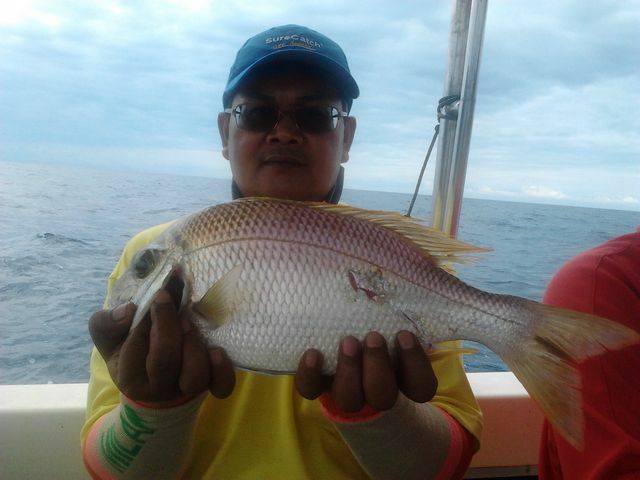 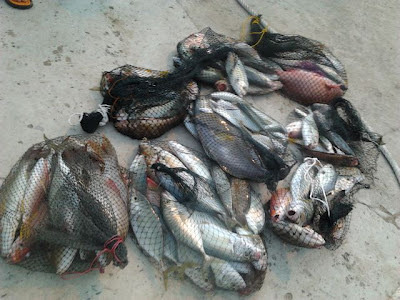 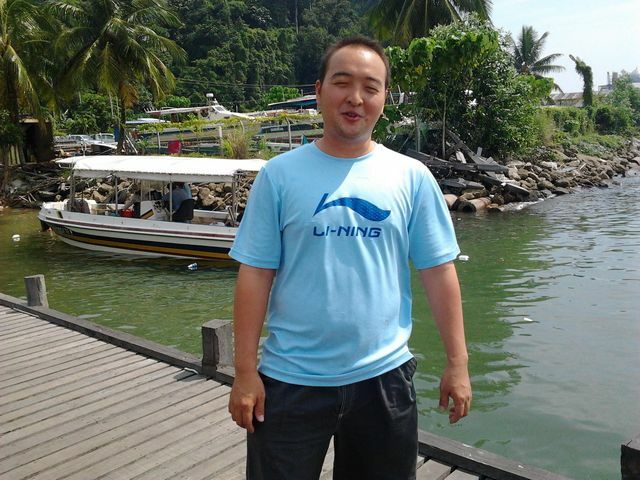 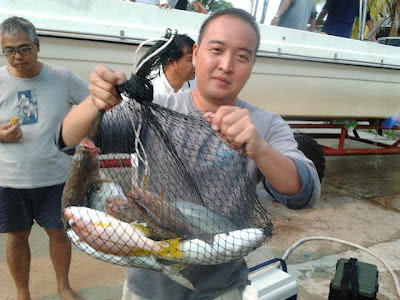 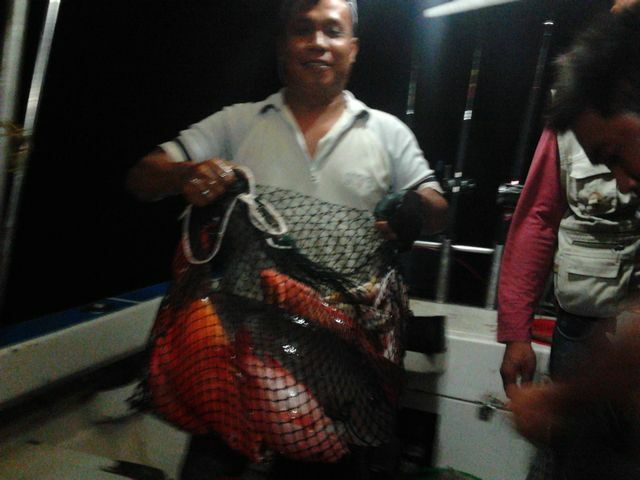 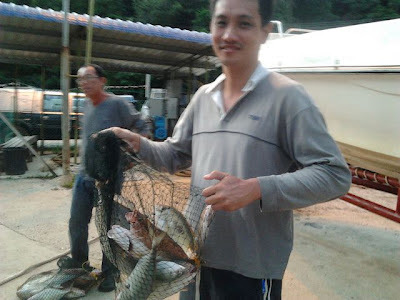 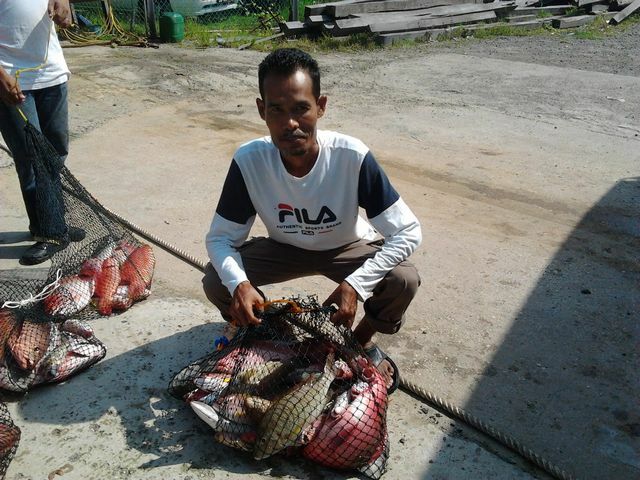 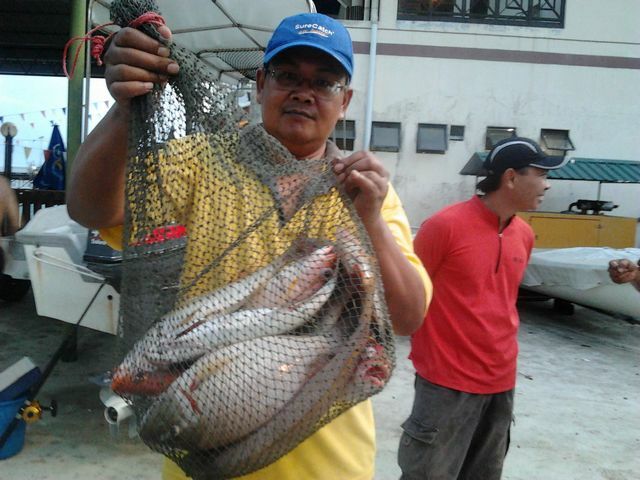 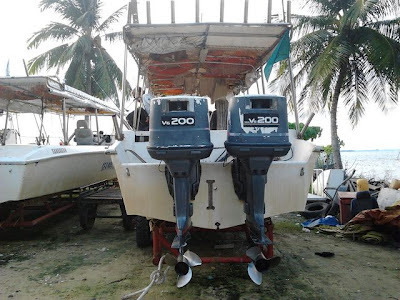 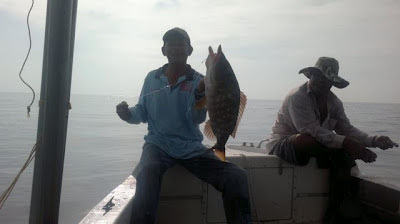 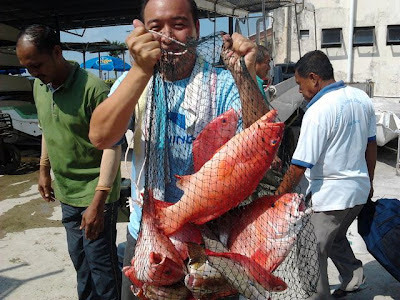 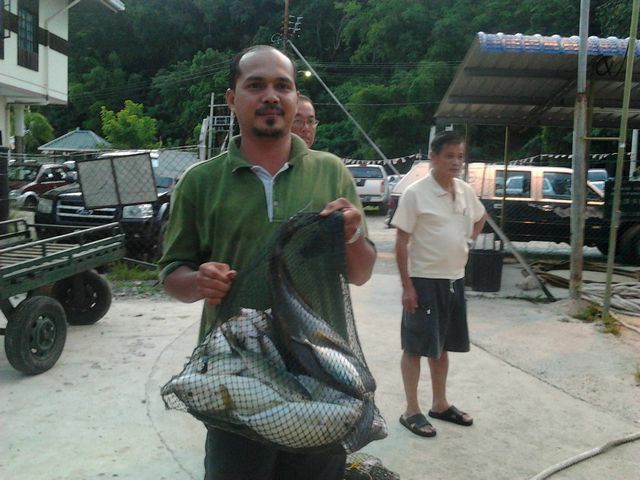 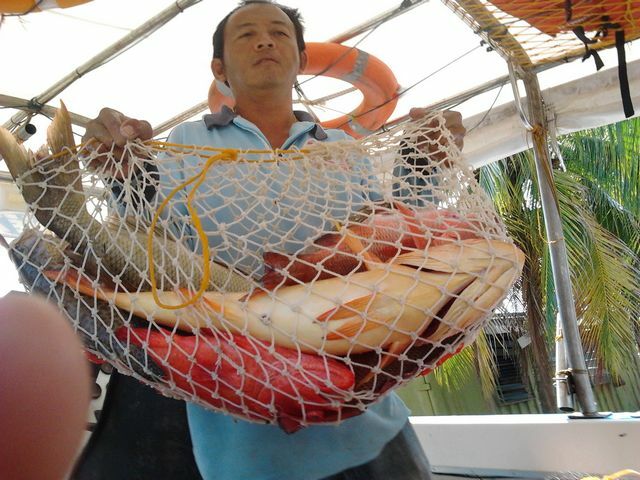 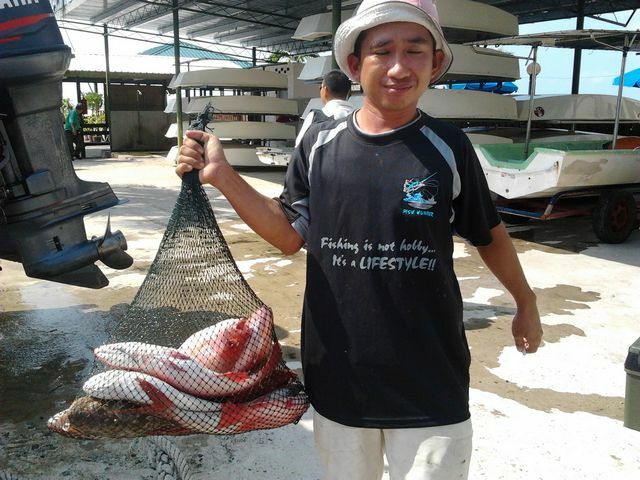 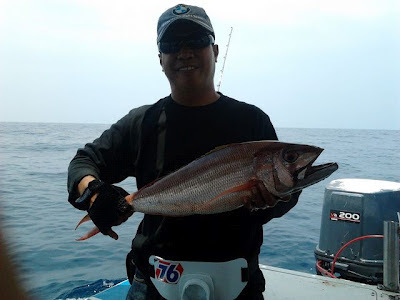 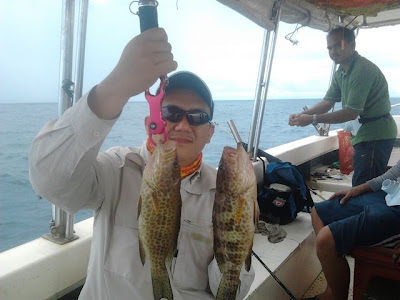 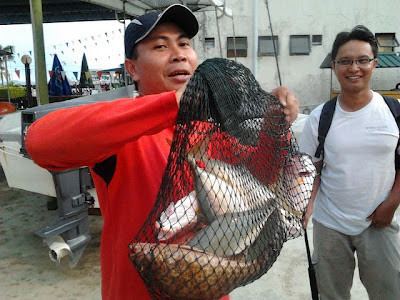 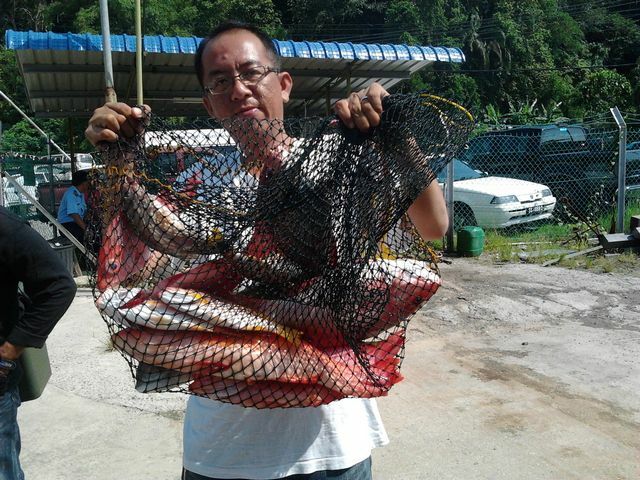 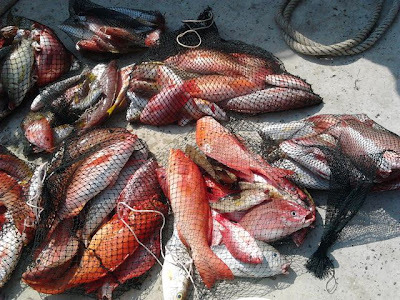 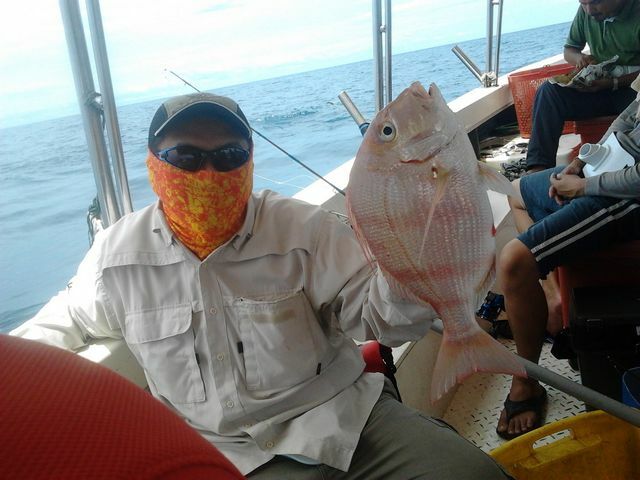 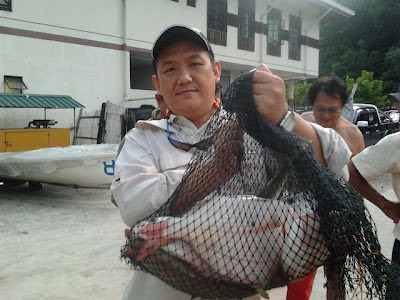 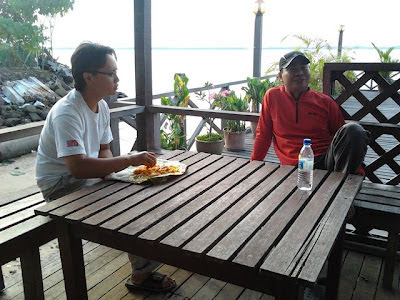 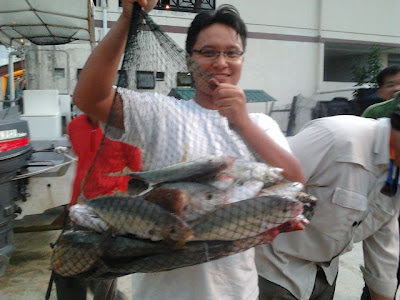 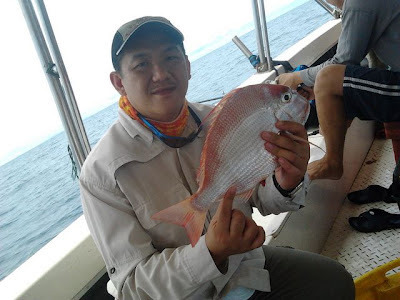 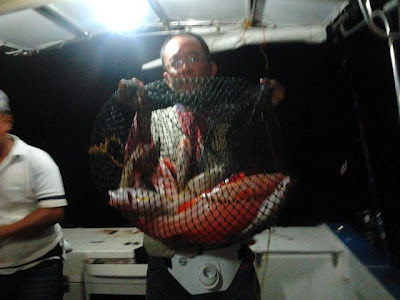 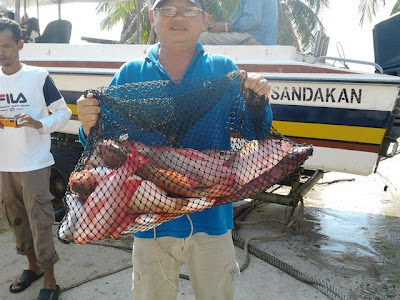 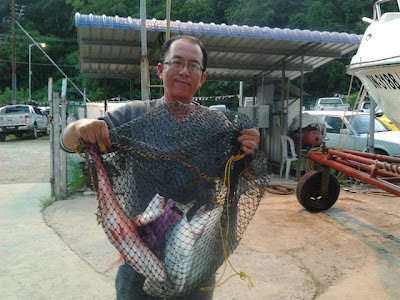 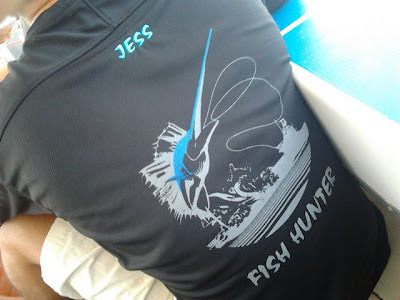 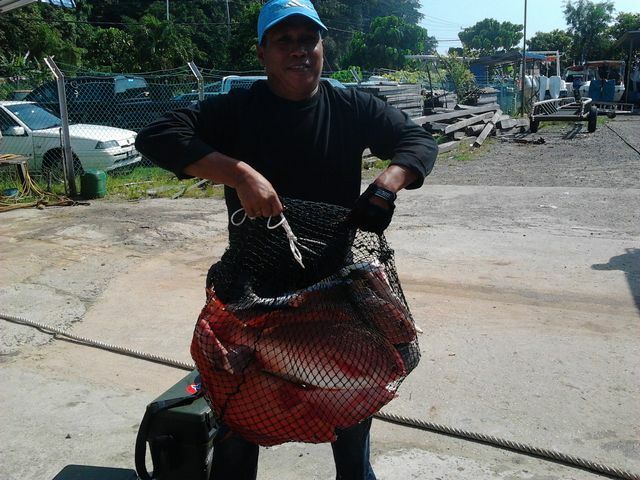 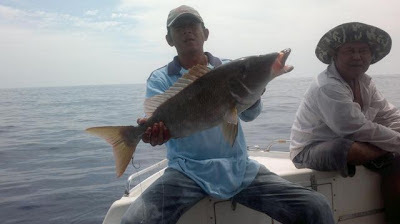 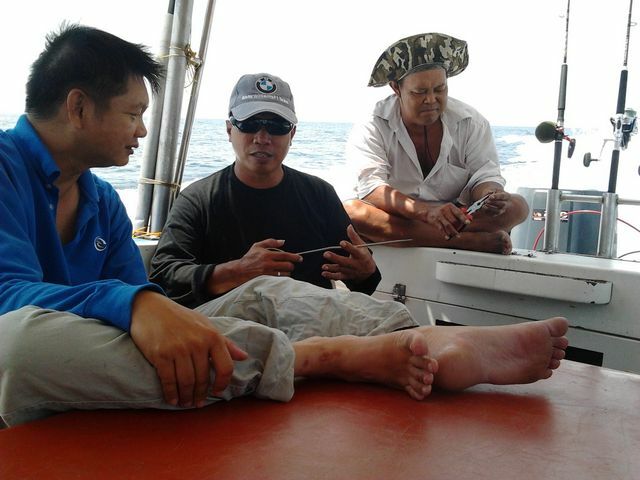 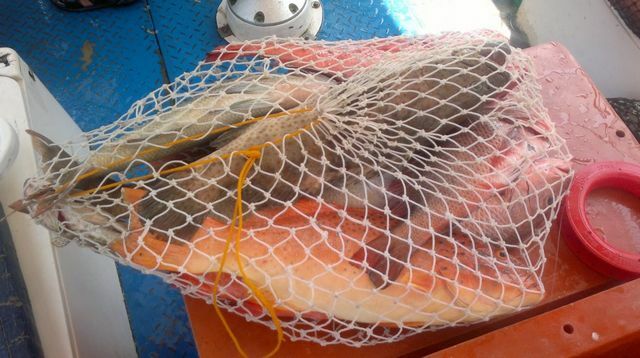 We managed to import a very dedicated and hard-working angler from Kota Kinabalu's FISH HUNTER- Jesnin. 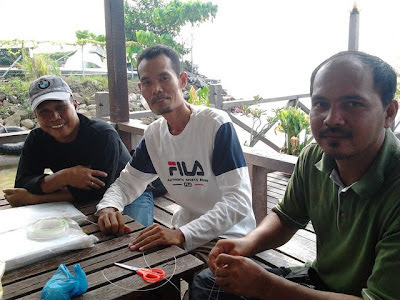 Andrew, Andimax and one of the jangkarman. 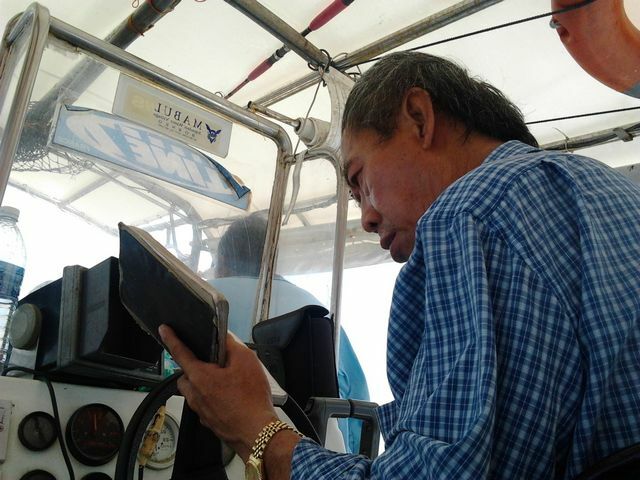 One of the legendary boatmen in Sandakan, Tikea, with his bible. Some of the highlights during the day. 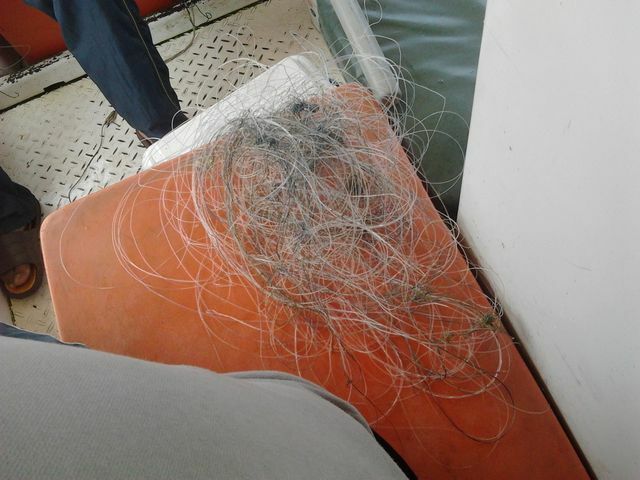 Andimax with the first catch on the boat. 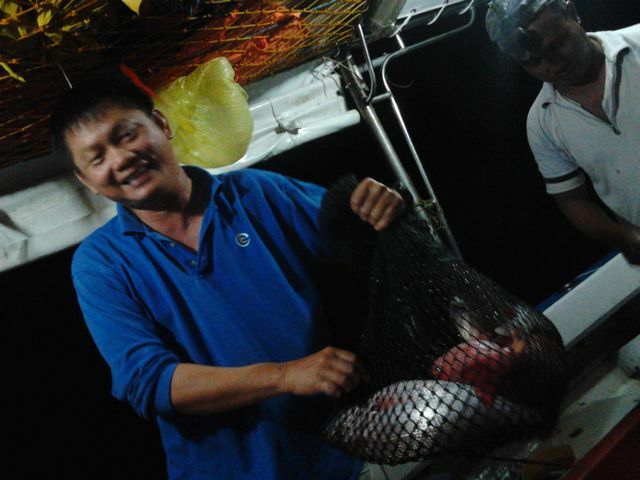 Kwong Ying with a seven star. Ah Kai, the jangkarman, with a long nose emperor. 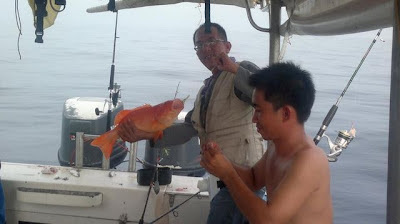 Ah Kai, the jangkarman, with another long nose emperor. 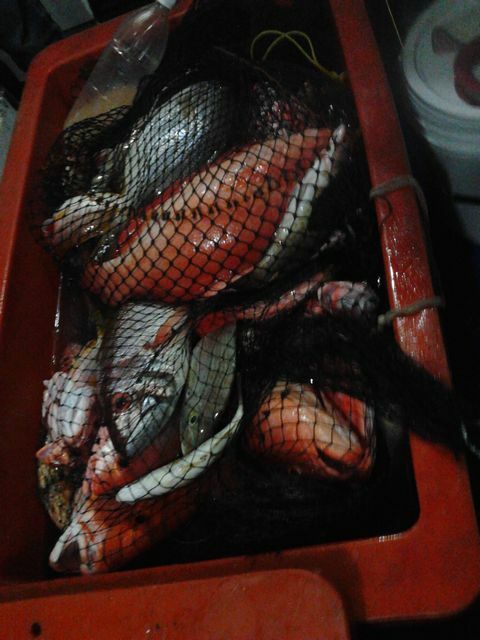 Jason's, Andrew's, Kwong Ying's, Andimax's, Jesnin's and my catch at 9.30pm. Is this what you call PECAH TONG????? 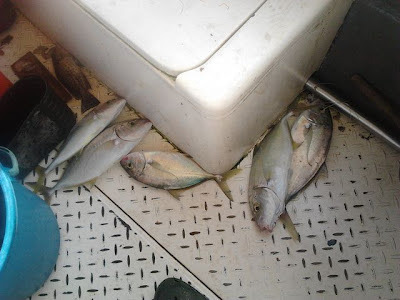 On the next morning, the fish bite rate was very low. Went to two other points and the bite rate was still low. 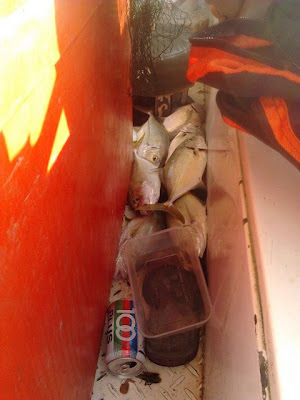 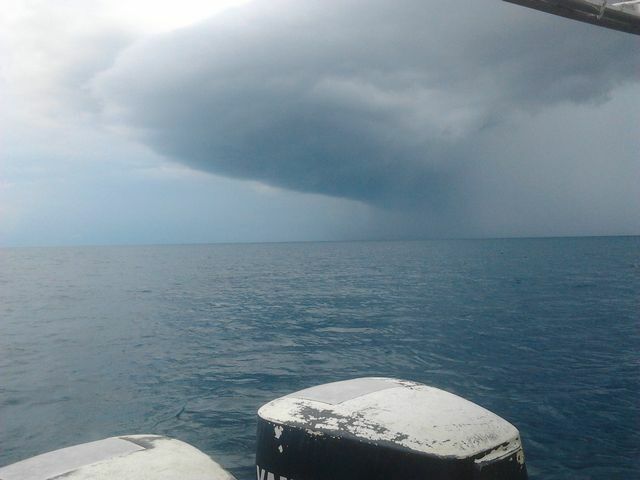 We had to stop fishing at 8.00am. 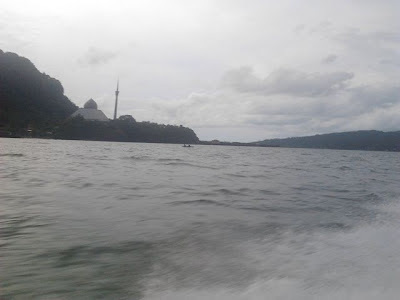 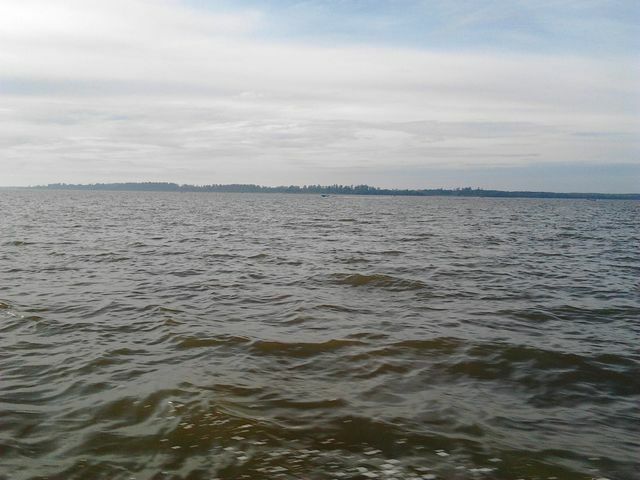 Some of the pictures taken after the trip. Did not take a lot of pictures in the trip as everyone was busy. 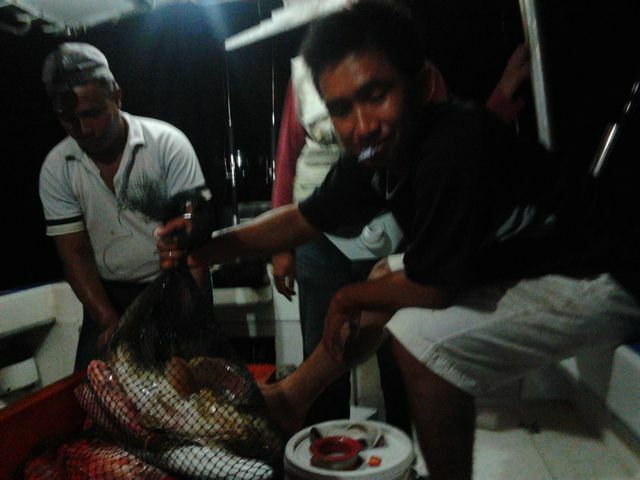 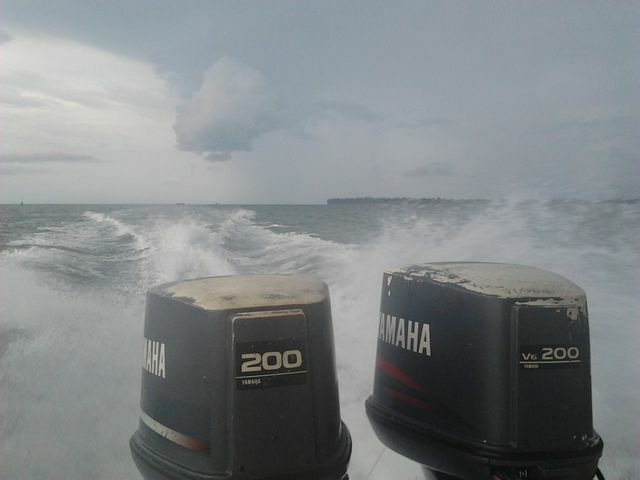 Overnight fishing was fun but quite tiring. 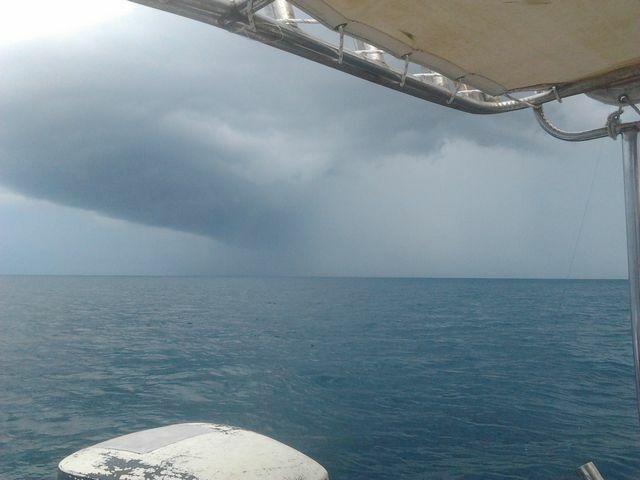 I had seasick but managed to get back on track after few hours of sleeping.I won't be thinking of an overnight fishing trip again for the time being. 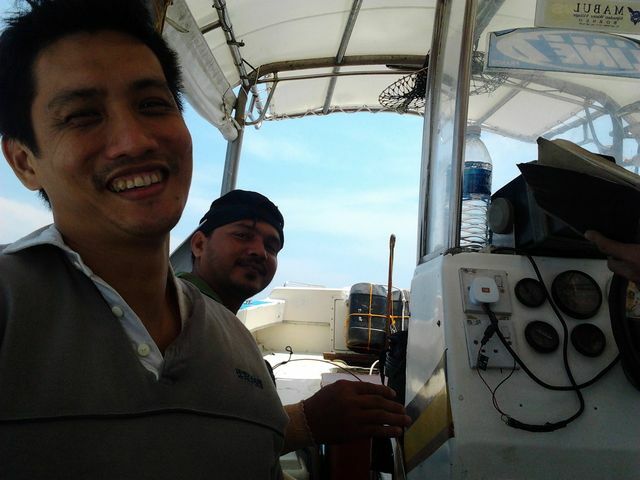 A video of the trip uploaded by Tikea. Members of the trip : Myself, Jason, Yazid, Kwong, Ustaz Razali, Bob, Jepp and Bakry. Heard a very bad news a night before this trip. 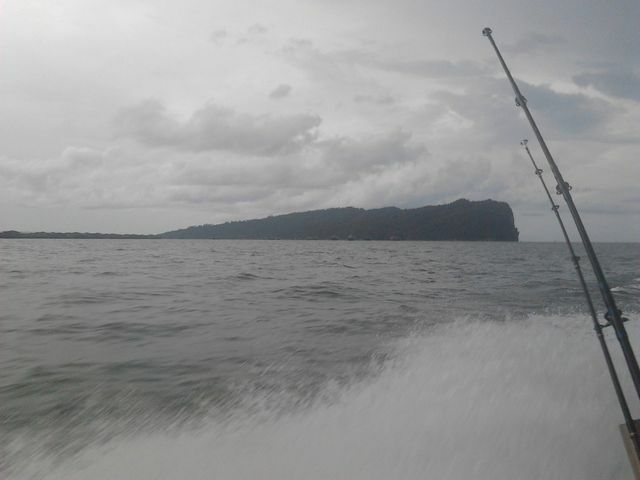 There was an earthquake in The Philippines. 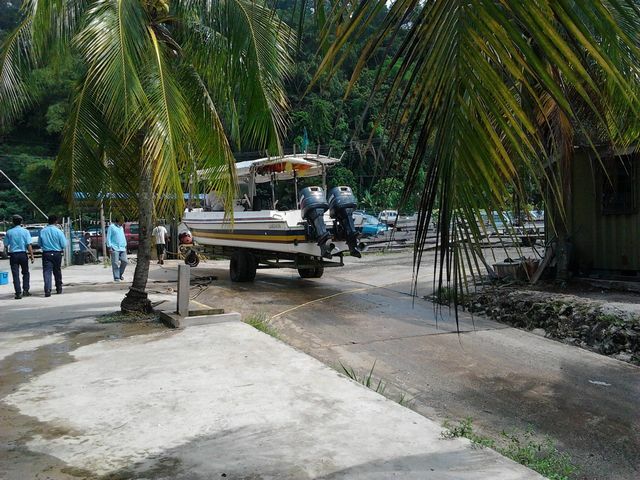 Luckily this trip was not cancelled and we don't expect much in this trip of course. 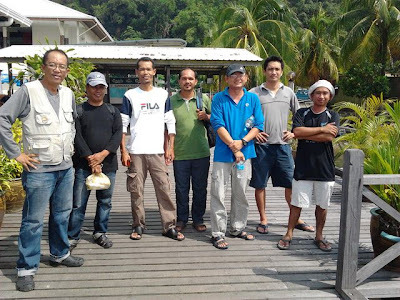 Among the members of the trip. Bob, the King of Pink Ear Emperors, in this trip. 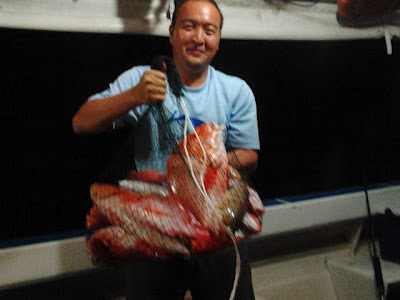 He caught some XL sized emperors. 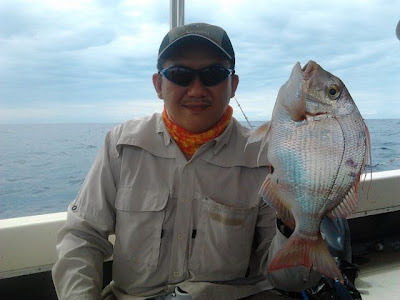 Not forgetting Jepp, the king of sea breams. He also caught some XL sized breams. Yazid, the king of Yellow Trevally. 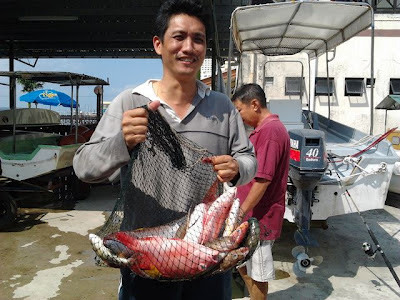 He managed to catch more than 10 of them. 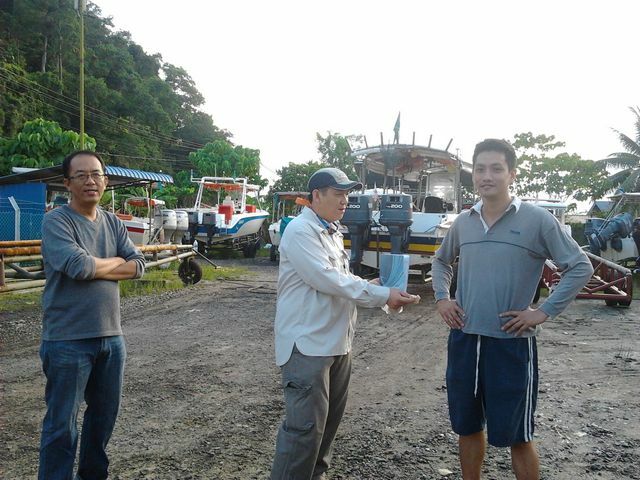 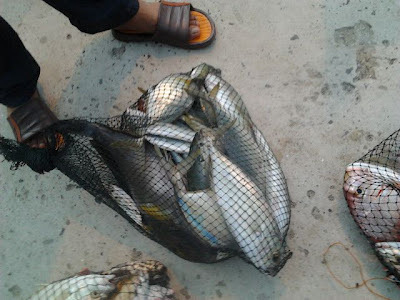 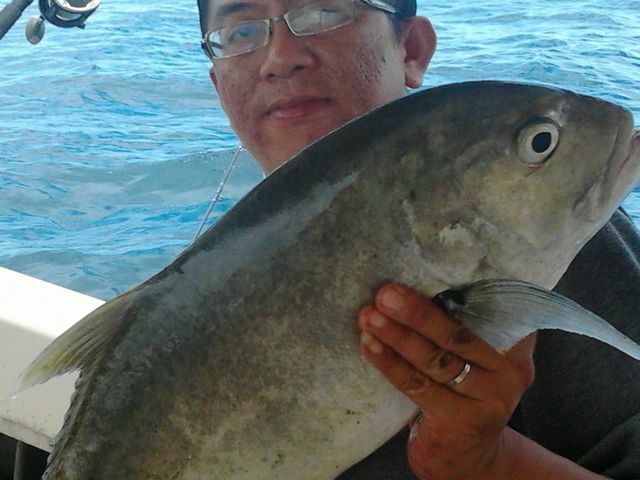 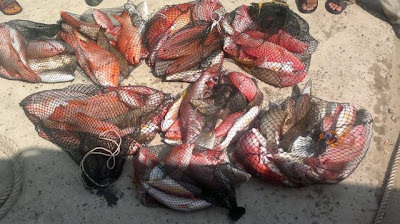 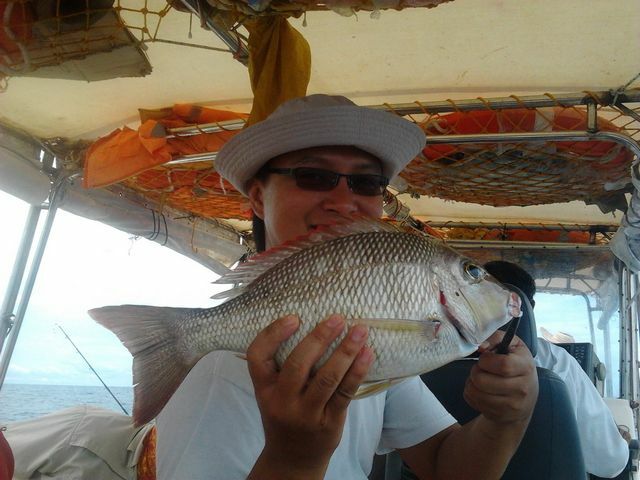 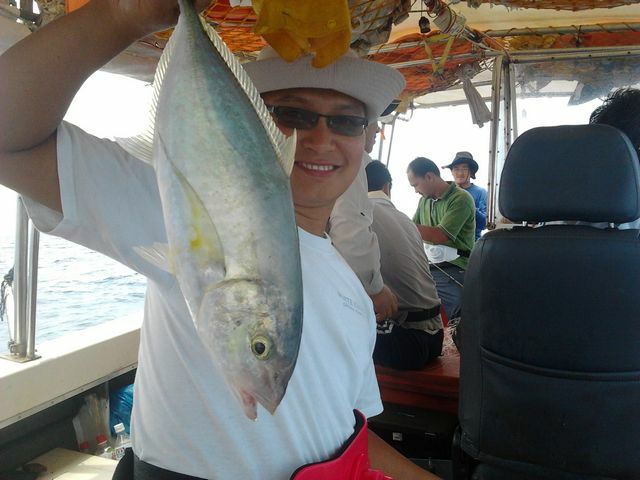 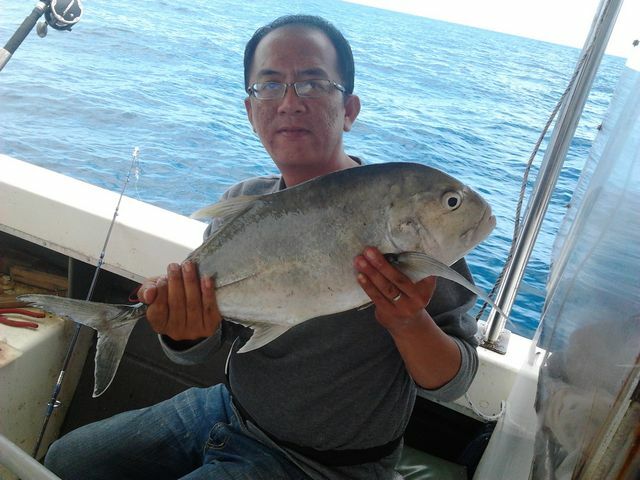 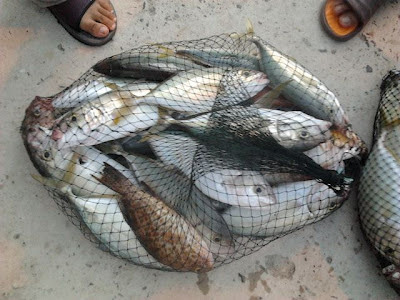 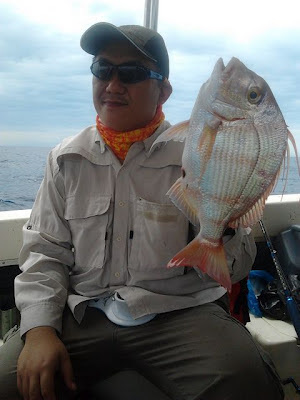 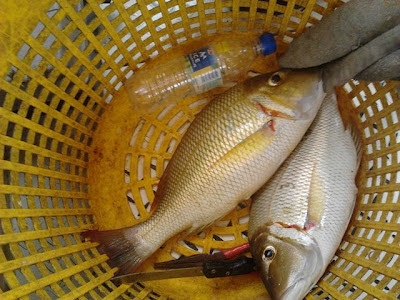 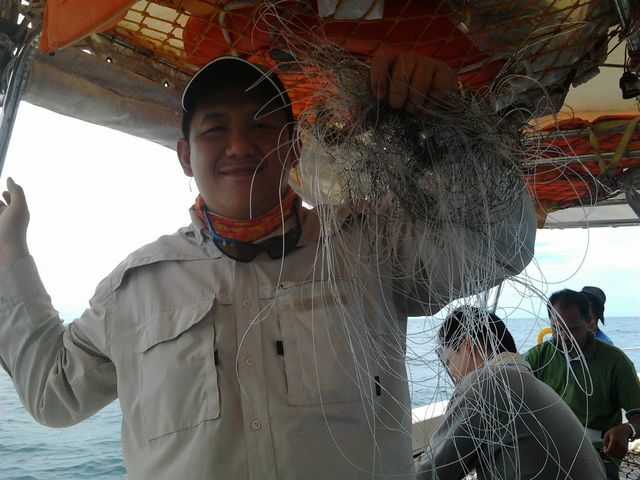 Ah Kwong, he caught two big sized fish- a Giant Trevally and a Mangrove Jack. 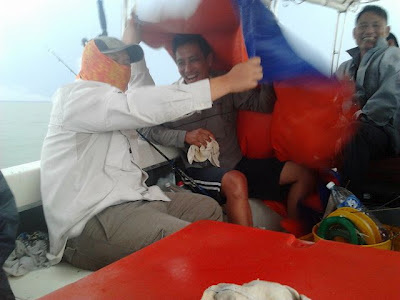 One most important lesson taught by Jepp in this trip- do not eat 'mi hun' on the boat or you will have to pay the price of it. 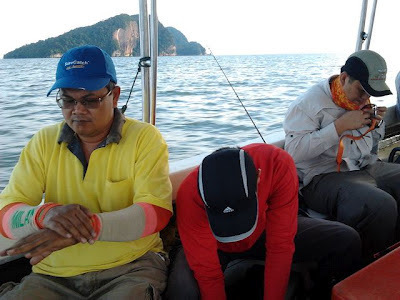 Stressed but we had an enjoyable trip. 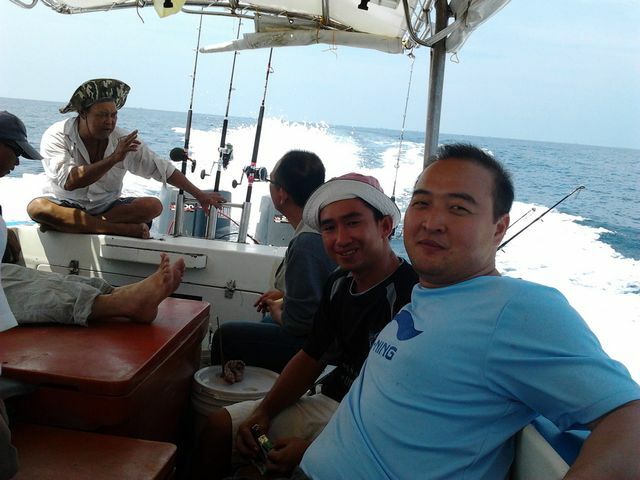 Hope to fish with the same gang again in the future.